Sorry, Jeb, the Race Is Wide Open Democrats may be ready for Hillary, but nothing is inevitable for the GOP. No one expects anything from the Democrats. They will back, accept or acquiesce in a coronation. This will not be called passive but disciplined. But when you think about it—one of our two major parties, in a time of considerable national peril, will settle its presidential nomination without vigorous debate—it is weird and disturbing. Republicans this year are not looking for Reagan. They’re looking for Churchill. They’re looking for the guy who knows the war is already here, not the guy who knows the war can be averted if we defeat the guys who would wage it. What is “the war”? Everything from scarily sluggish economic growth to long-term liabilities and deficits; from the melting away of the post-World-War-II order to the Mideast to domestic terrorism. Every four years there is frustration and argument; this year there is urgency. What the Republican Party needs in a presidential candidate is not a centrist who can make the sale to conservatives in the primaries; it is a conservative who can win over centrists in the general election. That means the Republican nominee should be a man or woman who can redefine conservative thinking for current circumstances and produce policies that centrists and independents will find worthy of consideration. Jeb Bush is said by some and treated by many as the front-runner, the one to beat. I don’t see it. In fact I think he’s making a poor impression. It’s a commonplace to say nobody’s watching this early. But some people are, especially activists in the base and the mainstream media, which is picking up impressions that will harden into widespread clichés. What are they seeing? Mr. Bush is spending much of his time in The Rooms—offices and conference rooms—with millionaires and billionaires. Money in politics is very important, and Mr. Bush makes a great impression on the denizens of The Rooms. He speaks their language. They like his experience, the fluency with which he speaks of domestic policy. Here his family name helps him; they know he is politically vetted, a successful former governor, is respectful of the imperatives of business, and is bottom-line sane. All this reflects a deliberate allocating of the candidate’s time. The Bush campaign will vacuum up money now and be interesting and compelling later. They’re trying to force rivals out of the race by picking up their potential donors and leaving nothing but crumbs. Mr. Bush’s operation is also, according to the New York Times, muscling party strategists and policy specialists to advise only him and no one else. Again a message is sent: Be with us now or we’ll remember later. It sounds tough and Clintonian. Actually it looks less like a sales pitch than a hostile takeover. There’s something tentative and joyless in Mr. Bush’s public presentations. He isn’t mixing it up with voters or wading into the crowd. So far he is not good at the podium. His recent foreign-policy speech was both bland and jangly, and its one memorable statement—“I am my own man”—was the kind of thing a candidate shouldn’t have to say. What is most missing so far is a fierce sense of engagement, a passionate desire to lead America out of the morass, a fiery—or Churchillian—certainty that he is the man for the moment. In its place we see a softer, wanner I’m smart, accomplished, know policy, and it’s my turn. I am not sure Mr. Bush likes the base. If he doesn’t, it would explain some of his discomfort. I am wondering if he sees the base as a challenge, not a home, something he has to manage, not something he is of. He was perhaps referring to this in December when he said you have “to lose the primary to win the general.” Actually you have to win it, but to really succeed you have to show you share the base’s heart, that you understand its beginning points and align with it on essentials. When you disagree with it you address those issues among friends, and with confidence. You can’t cover up differences in a passive-aggressive way—at their feet when you really want to be at their throat. These are respected voices read by many conservatives. Finally, this week’s polls—yes, it’s early—offer Mr. Bush little comfort. 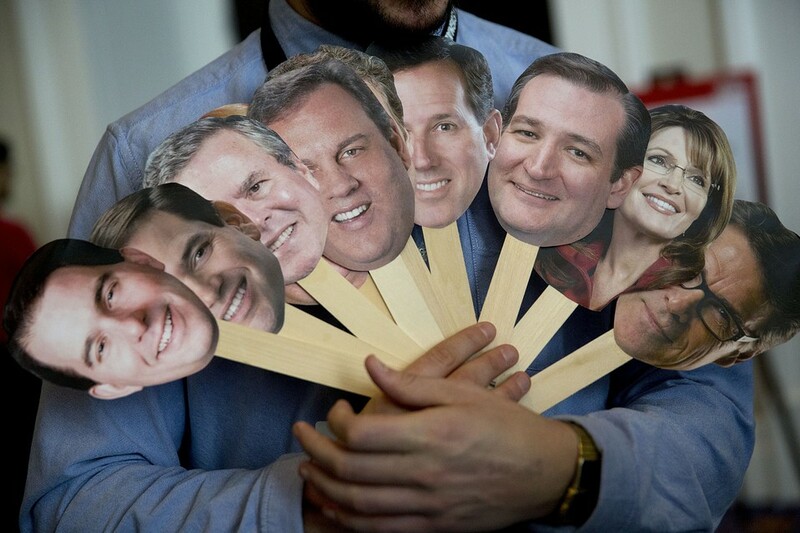 A Quinnipiac poll in Iowa has him coming in fifth, behind Mr. Walker, Rand Paul , Ben Carson and Mike Huckabee . Chris Cillizza of the Washington Post noted the really bad news for Mr. Bush is that he was well known among respondents “and not all that well liked”—41% favorable to 40% unfavorable. A national survey from Public Policy Polling shows Mr. Walker in the lead at 25%, with Mr. Carson at 18%, and Mr. Bush in third place with 17%. The road is long. Maybe Jeb Bush will succeed. But no one should bow to his inevitability. He doesn’t have a better chance with Republican voters than some other possible candidates, and may have less.